A dirty camera means poor image quality and more frustration when snapping pics. This cloth is a fool-proof solution that will make it an effortless task to keep every surface of your camera clean at all times. It requires no additional sprays or cleansers to work, it can be used on any part of your camera, and it is totally washable if it ever gets too dirty. You will get hundreds of washings and thousands of uses before replacement is ever necessary with this great cloth. Wipe fingerprints and smudges off your lens, or clear the grime from your screen. It can also quickly clean the viewing window, the flash or any other surface that might be dirty too. It will never scratch anything, and is not too fancy to use on parts other than the lens. It will outperform most any other similar cloth available, and is guaranteed to leave surfaces super cleaned and polished. Unlike other camera cleaning cloths, this one will easily remove tough build up and oily residues instead of just smearing. It is very similar to our other suede textured cloths, but this one has integrated micro ridges that make it especially good at thoroughly cleaning screens and lenses without leaving behind lint or making you work too hard. It will only take a single swipe to thoroughly wipe away all dirt and debris to get yourself ready to take photos. Make lenses sparkle, touch screens shine, and pictures come out better than ever. It is equally suited for small pocket style digital cameras, and larger, more expensive DSLR versions. Don't let the low cost fool you because this cloth packs a big punch. Other ones may eventually get your gear as clean, but this one makes the job quick and easy. Instead of pushing around oily residues, or smearing fingerprints, this cloth will lift up and trap all dirt or residue it comes across to leave the surface completely clean. It does not require elbow grease or anything in a spray bottle to achieve results because t is the high quality material that makes all the difference. These cloths are thicker, softer and more able to clean than most similar items. The ultra suede finish with micro ridges is the perfect material for camera lenses and view screens, so you are guaranteed to get them all the way clean in a safe and effective way. It will gently skim the surface to lift up and remove dirt that you can't even see, and will leave the surface super clean and polished looking. No dirt will be left behind, and neither will any lint or cleanser residue like with other tools and methods. Since there are no sewn edges or funny key chains or bags attached, this tool never runs the risk of scratching or ruining any of your equipment, and it will always be freely useable at all times. For the most part, you will clean with this cloth dry. General dirtiness, and everyday grime will wipe away with ease in just a single pass. For tougher build-up, you can supercharge the cloth by getting it damp with water. Anything that can't be thoroughly cleaned when the cloth is dry, should remove once it is damp. You never want it all the way wet, but a damp cloth can be useful for certain jobs. 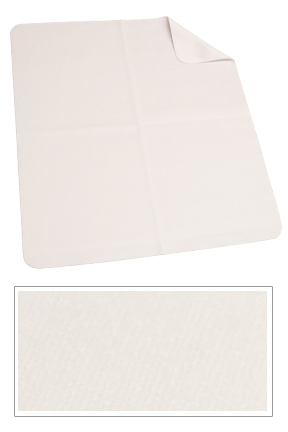 Damp or dry, when you wipe with this cloth, it will thoroughly clean the surface every time. You will never need to use additional soaps or cleansers, and it will not take extraordinary effort or special skill. For smaller areas you may want to fold the cloth in quarters to increase precession. It will still be soft and flexible when reduced to this size, plus you will have more useable surface area that remains clean as you work. For quick wiping, all over cleaning, or larger surfaces, just use the cloth unfolded. THis will give you the most surface area, and will allow you to quickly wipe more in less time. After several uses, you can machine wash the cloth and tumble dry on low or hang dry. Looking for the best cloth for cleaning your camera? then look no further. This one works great, is easy to use and will last for years since it is totally washable and reusable. Stop worrying about the questionable method or tool you are using now, and don't settle for dirty lenses, or cloudy pics. This low cost tool makes it easy to keep any camera clean, and it works for all surfaces. The special ridge texture of this cloth makes it more able to remove dirt from smooth surfaces like glass, and less likely to leave anything behind. You never have to worry about lint when you use this cloth, and you will be amazed at how clean it gets your camera. When you clean a lens or screen on your camera with this cloth, you don't have to worry about water damage, incompatible spray cleaners, scratching of surfaces, or any of the other problems that come along with traditional products. It is not treated with any chemicals, and you don't need to use any to achieve professional looking results. Order Yours Today! Dimensions (l x w) 9" x 10.25"
Microfiber Camera Cloth - The perfect cloth for cleaning all parts of your camera. Make lenses sparkle and touch screens more clear with this cloth. Any surface can be safely cleaned without sprays or chemicals. Order Yours Today! These cloths are good, but you have to launder them once you get them to remove any lint. They are soft, and seem to clean delicate lens surfaces well. I wish they were individually packaged. Some were, but not all of them. The cleaning cloths are great to use and excellent quality. I actually use them to clean my eyeglasses instead of their intended purpose which is for a lens on a camera, etc. I would highly recommend them. Microfiber is great at cleaning smudges and fingerprints off my Ipad and my glasses. The microfiber clothes are of great quality and at a good price. I am using them for my camera lenses. I recently used them on a whale watching trip on board small boats and they worked great. I love the large size. I also am using them to keep my glasses cleaned and work great for that as well. I highly recommend these. This cloth is great and large enough to do the job, it's not too small and hard to use, I love it, easy to wash. Received as promised. Product met every expectation. Even came with a case. A Microfiber Pad Combo Pack. Get One Pad for Every Job! A washable, microfiber dusting tool for small spaces. Eliminate dust without using chemicals!